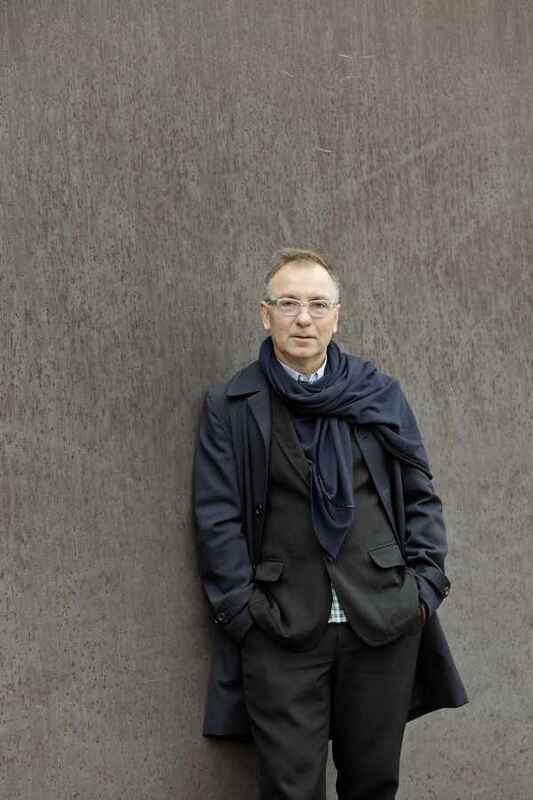 Wiel Arets, an internationally acclaimed Dutch architect, has been in August 2012 appointed as Dean and tenured professor at the Illinois Institute of Technology (IIT) College of Architecture (CoA) in Chicago. Arets will be invested with the ‘Rowe Family College of Architecture Dean Endowed Chair’ on March 13th, 2013, and began his leadership of the IIT CoA academic and research programs in August 2012. Originally under the direction of German-born architect Ludwig Mies van der Rohe from 1938-1958, Arets is the second European architect to be appointed to this distinguished position. Mies van der Rohe secured Chicago’s place in the history of modern architecture with his Lake Shore Drive apartment towers, one the most important post WWII high-rise prototypes, the Farnsworth House, and the IIT CoA main building, S.R Crown Hall. Arets’ inaugural address as Dean will take place in Crown Hall during the international symposium on March 13th, 2013, presenting his vision – ‘Rethinking Metropolis’ – for the school’s new era. Wiel Arets is an architect, educator, industrial designer, theorist, and urbanist known for his academic progressive research and hybrid design solutions. His architecture and design practice, Wiel Arets Architects (WAA), has multiple studios throughout Europe and its work has been nominated for the European Union’s celebrated ‘Mies van der Rohe Award’ on numerous occasions. WAA currently has projects under construction throughout Europe and Japan, including the Allianz Headquarters in Zürich, Switzerland, Amsterdam Centraal Station’s IJhal, the Schwäbischer Verlag in Ravensburg, Germany, and the A’ House in Tokyo. His many distinguished projects include the library of the University of Utrecht, the Academy of Art & Architecture in Maastricht, the Euroborg Stadium in Groningen, and the Hedge House in Wijlre, the Netherlands. NOWNESS, the school’s first publication under Arets’ direction, will be presented at the symposium – ‘Making Metropolis’ – in Chicago on March 13th, 2013. Illinois Institute of Technology Provost Alan Cramb announced on August 7th, 2012 the appointment of Wiel Arets as the new dean of the IIT College of Architecture. Born in the Netherlands, Arets, an internationally acclaimed architect, educator, industrial designer, theorist, and urbanist, is known for his academic progressive research and hybrid design solutions. He is currently the professor of building planning and design at the Berlin University of the Arts. His architecture and design practice, Wiel Arets Architects, has multiple studios throughout Europe and its work has been nominated for the European Union’s celebrated ‘Mies van der Rohe Award’ on numerous occasions. Arets, who was dean of the Berlage Institute in Rotterdam from 1995-2002, will join IIT this fall and will lead an academic program originally shaped by the vision and work of Ludwig Mies van der Rohe. Considered by many to be one of the founders of modern architecture and design, Mies chaired the IIT architecture program from 1938-1958 and designed the IIT Main Campus, home to many of his iconic structures including S. R. Crown Hall. Arets currently has projects under construction throughout Europe and Japan, including the Allianz Headquarters in Zürich, Switzerland, Amsterdam Centraal Station’s IJhal, the Schwäbischer Verlag in Ravensburg, Germany and the A’ House in Tokyo. His many distinguished projects include the library on the Uithof campus of Utrecht University, the Academy of Art & Architecture in Maastricht, the Euroborg Stadium in Groningen, and the Hedge House in Wijlre, the Netherlands. ‘The College of Architecture at Illinois Institute of Technology has a global reputation and attracted outstanding candidates for dean from leading programs worldwide. It is indicative of the position of the IIT College of Architecture that we have found such an accomplished architect to lead the school in a new direction,’ said Cramb. Arets has been a guest professor at many of the world’s preeminent architectural universities, including the AA London, Columbia University and Cooper Union—and served on the Advisory Council of Princeton University from 2003-2012. He graduated from the Technical University of Eindhoven in 1983, where he obtained his Master of Science in Architecture. The IIT College of Architecture offers a five-year Bachelor of Architecture program, four master’s programs and the Doctor of Philosophy in Architecture. Accredited by the National Architectural Accrediting Board (NAAB), the college attracts students from around the world. Wiel Arets Architects was founded by Wiel Arets in 1983, and today the office has studios in Amsterdam, Berlin, Maastricht, and Zürich. Wiel Arets was born in Heerlen, the Netherlands, in 1955. After completing engineering school in Heerlen, he attended architecture school at the Technical University Eindhoven (TUE). Arets has always been inspired by the works and thinking of the filmmaker, Jean-Luc Godard. Upon graduating from the TUE in 1983, Arets went on a six-week research trip to Japan, where he met and wrote articles for the Dutch magazine De Architect on the work of Ando, Maki, Shinohara, Hasegawa, Yamamoto, and others. February 6, 2013 in Architects.